These five fashionable ladies have gathered together for tea and conversation. Our hand-painted wooden dolls nest inside each other or rest side by side for a wonderful display. 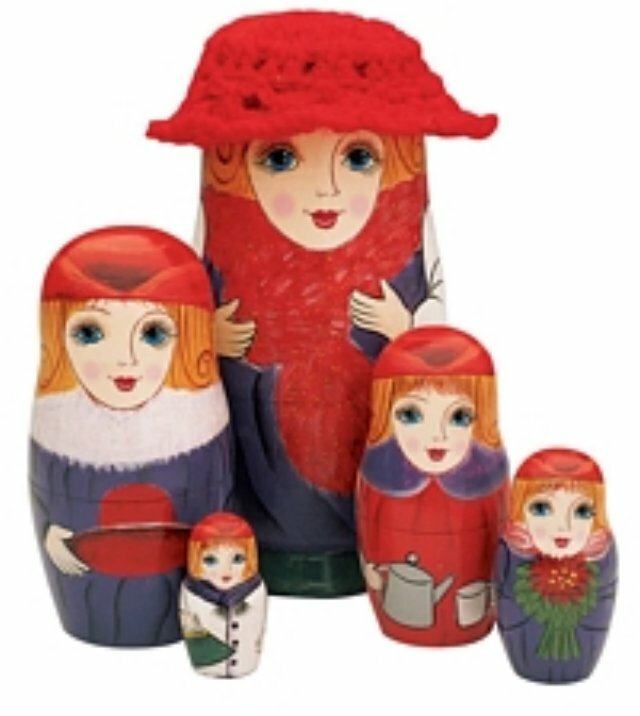 A real knitted red hat adorns the largest doll measuring 5 1/2" tall down to the smallest doll at 1 1/2" tall. Perfect for storing your small treasures.